Heat costs allocators VIPA EC Radio | VIPA CZ s.r.o. 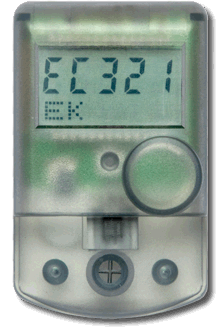 The multi-sensor electronic allocator serves for heat cost billing in buildings with a central heating system. The heat cost allocator allows each resident to share the heating cost of the whole complex of flats with the amount that matches the resident own heat usage. The heat cost allocator VIPA EC Radio integrates backwater temperature of a radiator as a main index of installed heating power utilization. A modern allocator is controlled by the microprocessor with a memory which contains the information about reading since last 18 months and on the date of accounting period. The device is equipped with highly sensitive temperature sensors and it fulfils all requirements for getting a perfect reading for the correct heat cost calculation. The allocator is also equipped with the electronic-mechanical seal which blocks the device reading at dismounting. Allocator use new bidirectional communication standard Rcom. 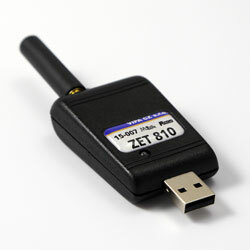 This communication is implemented on a frequency 868MHz with transmitting power 10mW. The indicator is designed for buildings with two-pipe heating system. We recommend a professional entry consultation in case of one-pipe vertical or horizontal system. It is determined for most radiators and convectors. It is impossible to use it for heating radiators with additional source of energy or for variable heat output, e.g. bathroom ladders with heating cartridge or convectors with a fan.